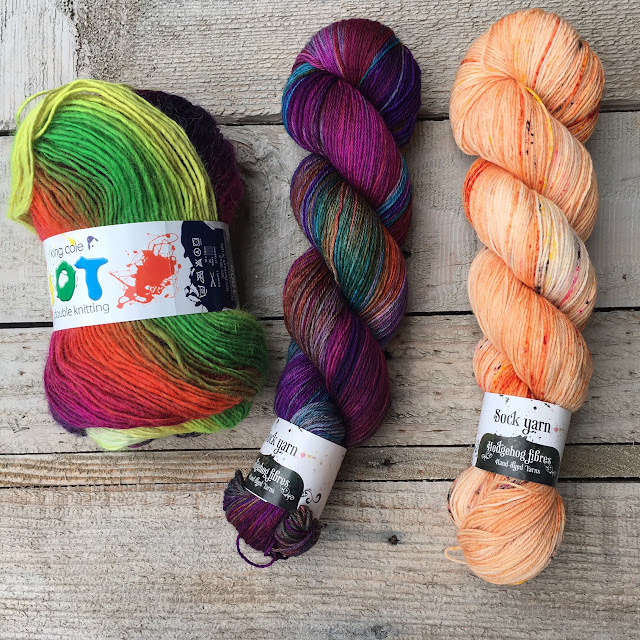 We knew it was going to happen eventually, I think I even said in my stash down post that I didn't expect to be able to resist the lure of yarn or a yarn shop for an entire year*. 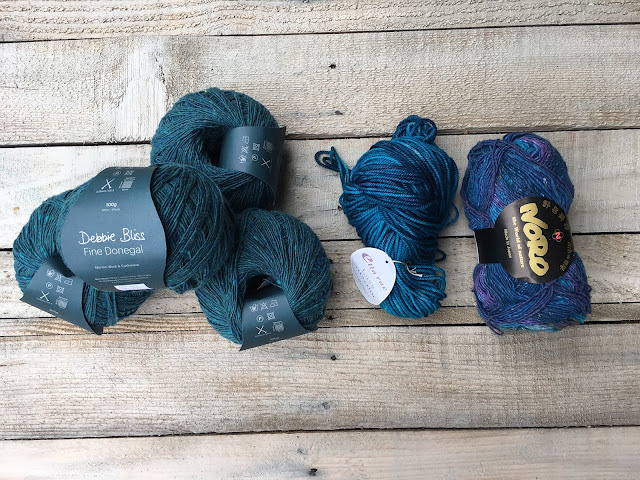 As you know, I have avoided buying yarn** since August and since that time have knit up a fair amount of stash but this week I discovered that there was a yarn store about half an hour away which stocked Hedgehog Fibre, yep that was it. I needed to go squish this yarn and come home with at least a skein. The yarn store is called Cherryhills Yarn. They are located at Shop 7, 354-356 Pennant Hills Rd, Pennant Hills NSW 2120. It is in an arcade which is accessed from Pennant Hills Road to the front and Geeves lane to the rear. If you are driving, the best parking is along Hillcrest Road. If you are travelling by rail, the train the station is a very short walk away. I took lots of photos so I could show you, I also promised Rosemary, who was working on the day I visited, that I would tell you that they are in the middle of shuffling everything around to make way for new stock coming in. NEW STOCK!! Apparently, the owner of the shop has run the business for 17 years and until recently they sold School uniforms and yarn. Recently, they have switched to 100% yarn. A friend messaged me on IG to show me their beautiful yarn and on seeing that she had my current yarn crush in stock, I had no choice but to visit. Katia, Ella Rae, Filatura Di Crosa, Noro, Zauberball, Supersoft 8ply, Patons, Debbie Bliss, Magnum and Manos del Uruguay....I'm sure there was so much more. They also had really gorgeous shop samples and I wish I had taken more photos so I could show you. I took Carson with me because I know she needs more yarn (ha ha ha ha!). I found some cotton! Those Patons ones in the middle are lovely and colourful. Some of the Debbie Bliss. and of course the Hedgehog Fibres, so many knitwear designers are using this yarn at the moment and I seem to have fallen for its charms. I was so happy to have been able to find a local stockist and deliriously happy to have discovered a new yarn store too. The shop has an Instagram account which I'm fairly sure I will be stalking to watch the arrival of any lovely new goodies. I am sure I will be visiting again. Here are my purchases (the riot is for my kids who are both learning and apparently need their own stash). And here is Carson's delicious selection, she may be going through a blue phase! *Don't worry I am completely unrepentant. Knitting is my hobby. I love squishing yarn being drawn in by beautifully dyed fibre and getting sucked into the latest trends. I love it so much that both of my children enjoy trips to the yarn shore and seeking out the most brightly coloured yarn and begging me to buy it for them. **well that's not strictly true, I did have to buy one 50g ball to finish a stash down project. Yay! I love all the photos! And all the yarn!!! There looked like a nice green in the Zara... But so many lovely colours, so much yarn. The showstopper is still the Hedgehog Fibres. I love Carson's picks, beautiful blues. Also loving how your kids are taking after you with the stash-need. I like their choice, it's fun and bright. When I take my kids to yarn shops they are completely annoying and I can't think straight to be able to make a choice. Maybe I need to involve them more! My kids were beautifully behaved, they surprised me. They actually point yarn out to me and find their favourite colours. Maybe they get mildly sedated by the yarn fumes. I'm hoping the colour changes on their yarn keeps them motivated, I know that when I'm knitting socks the colour changing yarn knits up quicker than plain yarn. hopefully i'll get at least one knitting buddy out of them.